On 6 privale rolling acres in lovely Longview, this house is the perfect family retreat. The main house has a roomy kitchen with breakfast counter and a table that seats 12. The adjacent guest cottage is fully outfitted also, and can sleep 4. 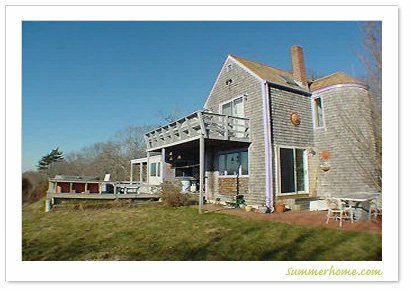 The house is outfitted with every amenty you could dream of, and is only a short distance from Lamberts Cove Beach. The sunsets from here are astounding, and the breezes will cool you on a hot summer day! A fabulous spot for a family gathering, Wedding guest accommodations, or for 2 families to share.